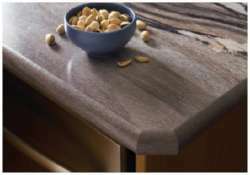 and granite looks to woodgrains and contemporary abstract patterns. 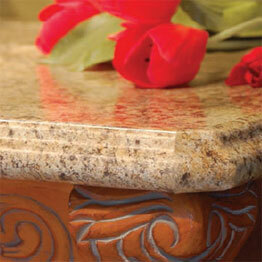 Ideal Edges from Formica are made in 1 1/4″ height to make your laminate top look even more like stone. A Crescent Edge invites the eye and warms up decor with soft curves at top and bottom. Custom edges from Wilsonart give your countertop the sculpted look of more expensive materials, like granite, at a fraction of the cost. It’s a beautiful look on a modest budget, a choice that feels as smart as it looks. 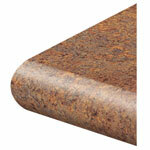 A New Look in Laminate! Now, it can be done in stainless steel! Have you always wanted an integral under mount sink but thought you couldn’t afford one? Well now you can with a Lansen sink installed under laminate. A Lansen sink, because of its light weight and durable construction is the ideal sink to use in this application. Stain, Heat, Impact, Bacterial, Scratch and Thermal Resistant. 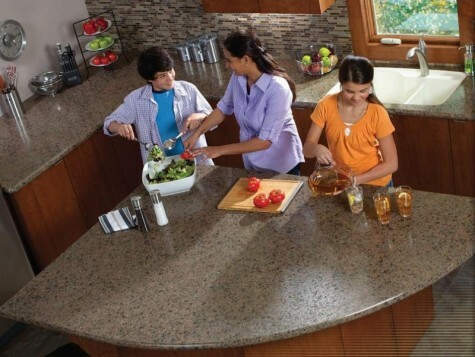 Under mount a Lansen sink to your next laminate countertop! 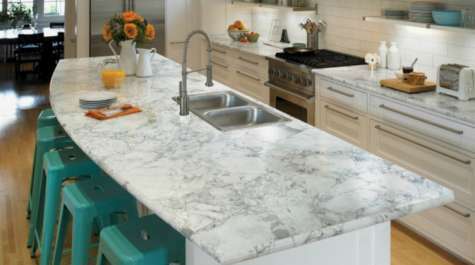 Hartson-Kennedy Cabinet Top Co. Inc. has introduced it’s Amoré profile laminate countertop and innovative Profile End Capping Process. The Amoré profile and end cap technique coupled with realitstic stonelike laminates, come together for results that look like stone. Hartson_Kennedy’s ” patent pending” Amoré profile and end capping process is unique in it’s more subtle, refined profile and is reportedly the only sculptured coutertop on the market made of horizontal post-forming grade laminate. 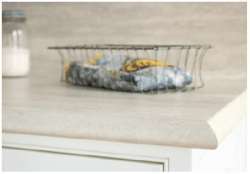 This exsquisite Amoré laminate countertop is produced only by Hartson-Kennedy and its fabricators and distributors who are certified in this unique “patent-pending” end capping process. Karran A New Look in Laminate! It can be done! Have you always wanted an integral under mount sink but thought you couldn’t afford one? Well now you can with a Karran sink installed under laminate. 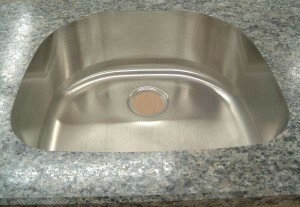 A Karran sink, because of its light weight and durable construction is the ideal sink to use in this application. Stain, Heat, Impact, Bacterial, Scratch and Thermal Resistant. 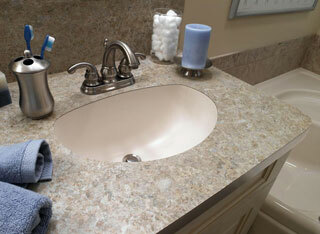 Under mount a Karran sink to your next laminate countertop!